Over the decades, Disney Princesses have changed in appearances and personal attributes. Hasbro’s Royal Shimmer dolls capture this. My family is most definitely a multicultural one. We have multiple races, religions, ethnicities, and backgrounds. We have multiple points of view, and multiple belief systems. Most of all, we have multiple areas of interest. Some of us are wild about sports, others theater. Some are over the moon about astronomy, others swear by their daily astrology chart. We’re all very different, but we do agree on one thing. 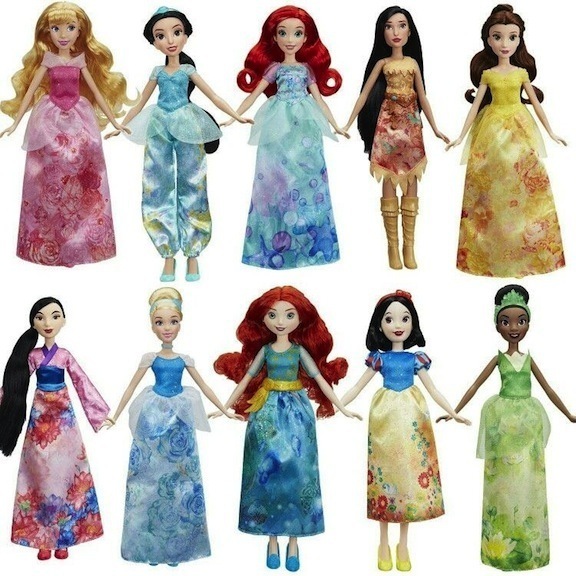 The Hasbro Royal Shimmer dolls, depicting the diverse Disney Princesses, are quite glamorous and gorgeous. They are designed to make every little girl (and some boys) believe that their dreams are possible and attainable. Beyond making wishes come true, the new Disney Princesses are all about taking action and taking personal responsibility for one’s fate. Pretty heady stuff! From Aurora to Belle, the Disney Princesses have grown in stature and status. While Aurora napped, Belle plotted to save her father and herself. 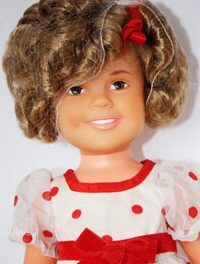 The Hasbro Royal Shimmer dolls showcase this. Once upon a time, the world of Disney Princesses was an exclusively white one. Yes, there was diversity in the animated kingdom, but that was their hair color. There was the raven black of Snow White’s tresses, the golden yellow of Cinderella’s hair. Moviegoers saw the honey blond of Aurora, and the auburn lox — oops, I mean locks — of Ariel the mermaid. The differences were all in the hair’s hue, and in their facial structure. Some of the princesses had heart-shaped hairlines, others widow peaks. They were all good-hearted and reeked of goodness. The Hasbro Royal Shimmer dolls pay tribute to those original gals (the OGs), but also to the more recent multicultural ones. Whether it was because of social pressure, or financial realization that people of all races want to believe in fairy tales, the Disney Studios released their first non-Caucasian princess in 1992. The top honor went to Princess Jasmine in the musical “Aladdin.” Set in the mysterious land of Agrabah, “Aladdin” follows the title character’s mischievous antics and eventual romance. Aladdin, a thief, falls in love and steals the heart of Jasmine, a princess who is not content to stay behind palace walls. 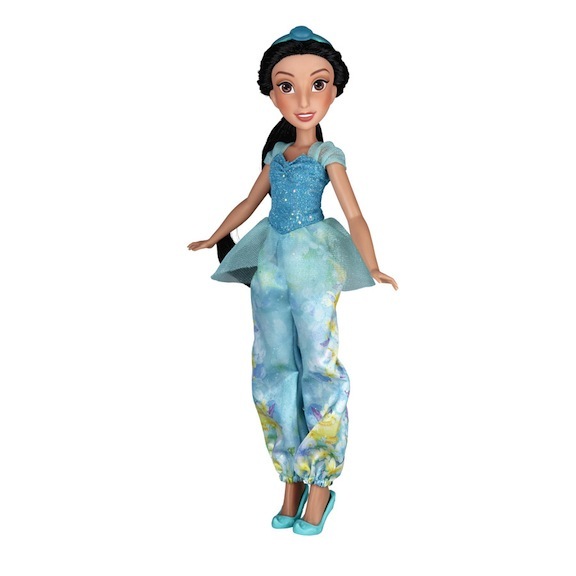 Voiced by Filipina singing star Lea Salonga, Jasmine was a princess with power. She could belt out a tune, sit comfortably on a flying carpet, and control a pet tiger. Jasmine was fierce. 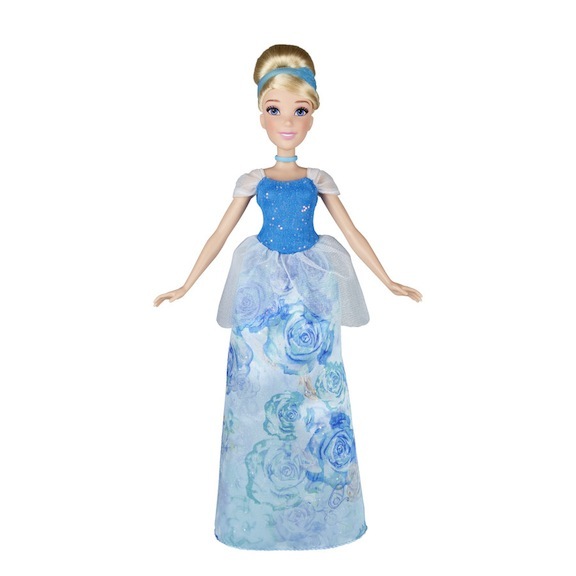 Her Hasbro Royal Shimmer doll is beautiful and fashionably attired. 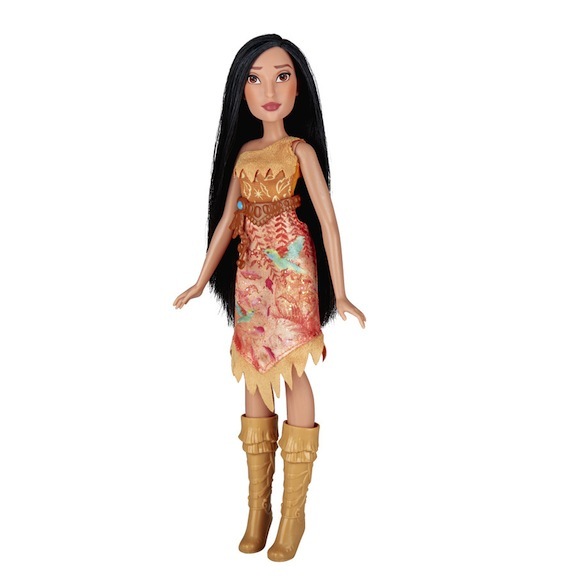 Given the Hasbro Royal Shimmer treatment, Pocahontas is a star of history and mythology. 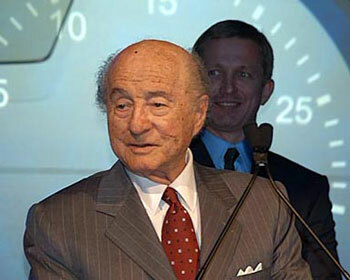 In 1995, Disney animators went into the Americana mind-set and emerged with a unique selection. The brand-new regal heroine was Pocahontas, and it’s pretty amazing that she was honored. Unlike the other royal characters who preceded her, Pocahontas was an actual woman. The Native American princess wasn’t fictional — though her history has been mythologized and fictionalized. Pocahontas also didn’t look like a long-necked swan or hothouse rose. This was a woman who could climb mountains, run with deer, and dive like Greg Louganis. Quite simply, she was formidable. 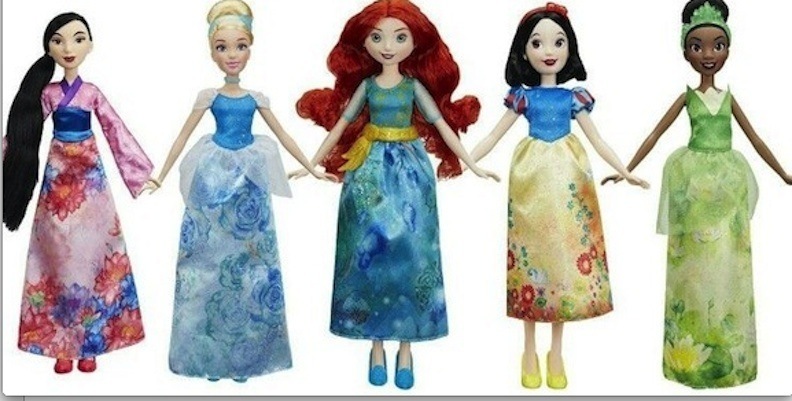 Of course, the Hasbro Royal Shimmer dolls include a Pocahontas doll. Truthfully, she reminds me of Cher in a Bob Mackie costume. So, if you want to do a repaint that salutes singers of the 1970s, here’s your model. Meet feisty and fierce Mulan from Hasbro’s Royal Shimmer line. The character redefines what it means to be a good daughter and a woman. The character of Mulan is a popular one in my house. The daughter who worries about bringing honor to her family hits home with many nationalities. 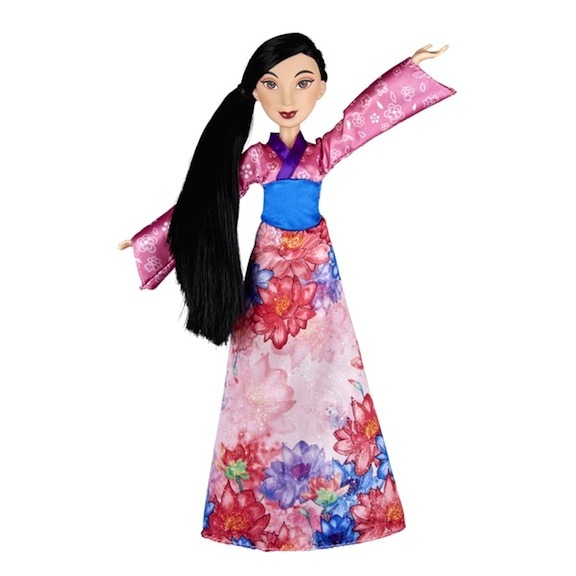 Voiced by Chinese-American actress Ming-Na Wen, the character Mulan’s singing was provided by Lea Salonga of “Aladdin” fame. The cast of “Mulan” is exceptionally multicultural. Chinese-American actor BD Wong acts the part of Captain Shang, and onetime Mormon teen idol Donny Osmond does his singing! Eddie Murphy is the voice of an impish dragon, Mushu, and George Takei (Sulu from “Star Trek”) talks as the First Ancestor. “Mulan” is filled with great voice work from a rainbow of talented performers. Every nationality and culture is represented in the cast. The Hasbro Royal Shimmer Mulan is pretty and poised. 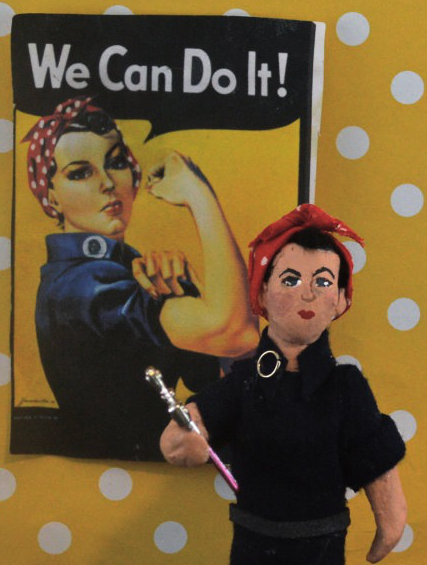 She will bring honor to her family and to a child’s doll collection. 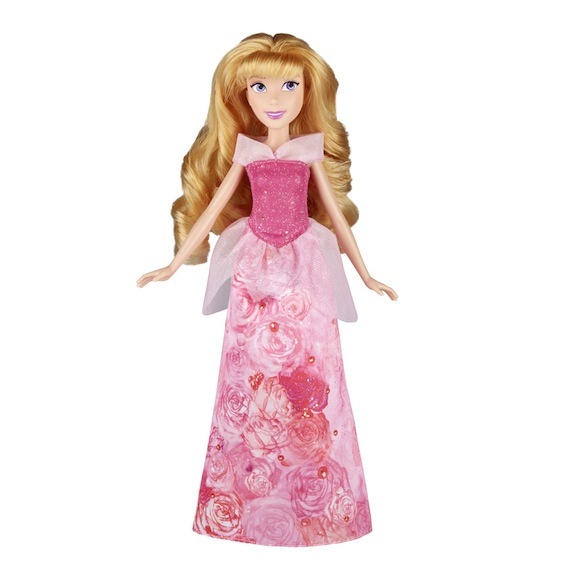 Hasbro Royal Shimmer’s Tiana, a girl who aspires to be much more than her current circumstances allow. 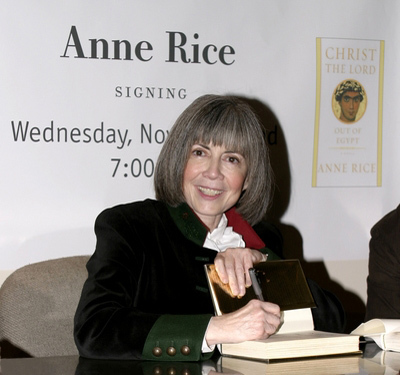 She’s a Jazz Age entrepreneur and soulful heroine. Finally, in 2009, more than 60 years after “Snow White and the Seven Dwarfs,” Disney debuted an African-American princess. Going back to the fairy-tale motifs, the studio decided to give “The Princess and the Frog” a somewhat contemporary American twist. The writers set the story in New Orleans and made their heroine a plucky waitress with big dreams. Tiana plans to operate her own restaurant one day, but she lacks the capital. While other past princesses aspired for a hearth and a home to call their own, Tiana wants to build a culinary empire. She wants to move beyond the confines of her background and her bank account. During this musical re-telling, Tiana meets a frog claiming to be an enchanted prince. Against her better judgment, she has to put aside her common sense and pragmatism. Instead, the levelheaded heroine opens herself up to the possibility of magic. Tiana is voiced by Broadway star Anika Noni Rose, and the amphibian love interest is Brazilian actor Bruno Campos. 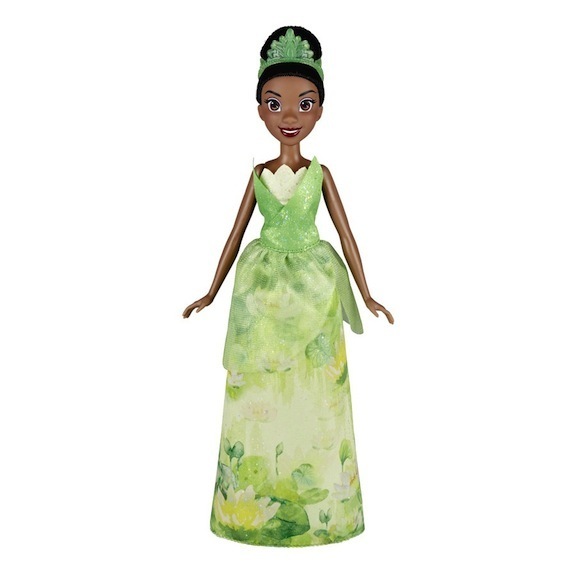 The Hasbro Royal Shimmer doll is lovely in its green costume that evokes nature, lily pads, and cash. Snow White was the first Disney Princess. She embodied a female who was happy to wait for love’s first kiss. Hasbro Royal Shimmer dolls are a timeline of how the characters evolved. The Disney Princesses have changed over the past 82 years. Snow White was the first ideation and she was an unapologetic symbol of purity and tenderness. Even though she was a princess who had resided in a castle, she instantly adapts to becoming a housekeeper. 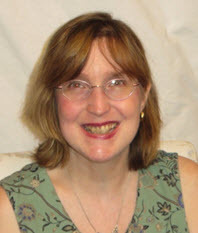 Living with and working for seven strange men, Snow sings to the birds, sweeps with a smile, and remembers to eat an apple a day. (That’s her undoing.) She’s the ultimate good girl who has bad things happen to her. 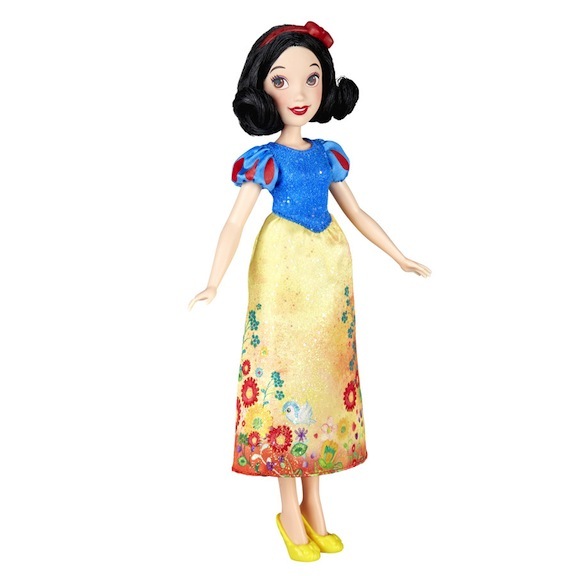 Despite her tragic episodes, Snow White remains unchanged; even death doesn’t deter her. Through everything, she stays as innocent and unspoiled as the first snow of winter. Once upon a time, Cinderella wished to be rescued from her evil stepfamily. Would she need a prince and a fairy godmother today? Shown here, Hasbro Royal Shimmer version. “Sleeping Beauty” gets woke! You just know that today’s Aurora would not be napping her life away. Meet Hasbro’s Royal Shimmer creation. Today’s Aurora would have dreams that travel beyond her palace’s walls, and she’d have studied ways to protect herself from the evil fairy’s curse. Like Mulan, she’d have learned martial arts or how to handle a cutlass or spear. That’s the legacy of the multicultural Disney Princesses and the Hasbro Royal Shimmer dolls. By seeking ways to make each character a different “type” or “personality,” Disney has given us fresh takes on what it means to be a girl and a woman. At first, the Hasbro Royal Shimmer dolls simply look like dolls. But when you think about it, they are markers of how all women have changed in real life and in the movie reels, too! When you look at the Hasbro Royal Shimmer lineup, you’ll see that the characters have become stronger and more self-reliant over time. In today’s world, Snow White would not be a melting snowflake. She’d be a princess in exile who is plotting her return home. And, most likely, she’d achieve it, with the help of seven dedicated and devoted dwarfs. That’s a happy modern ending, for sure!